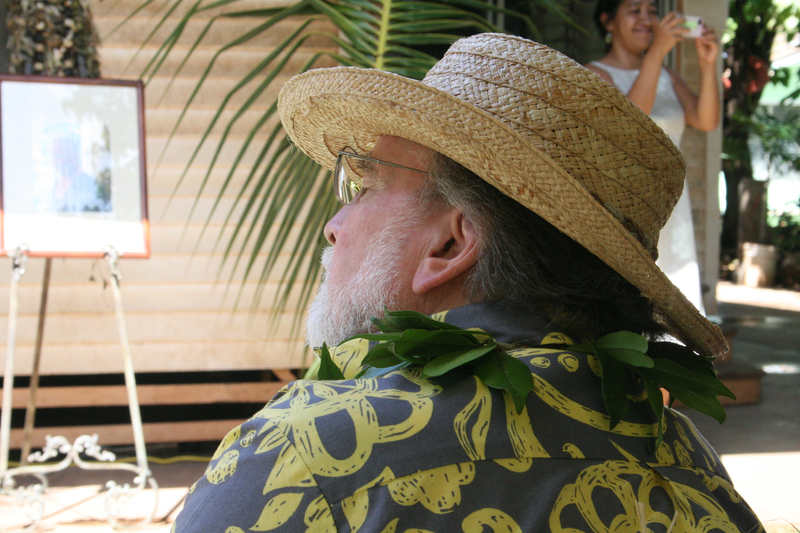 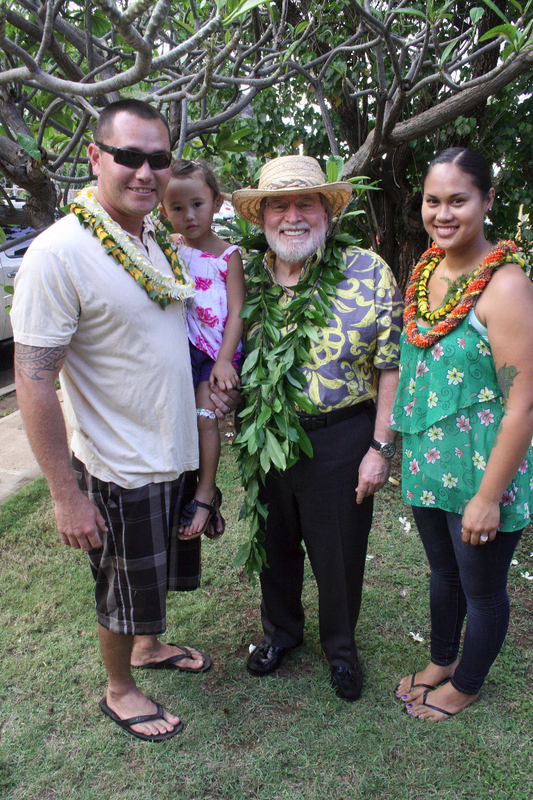 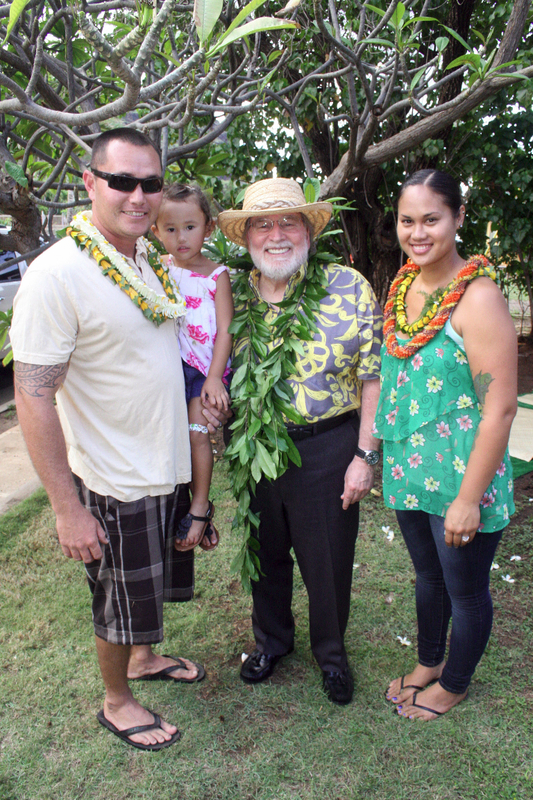 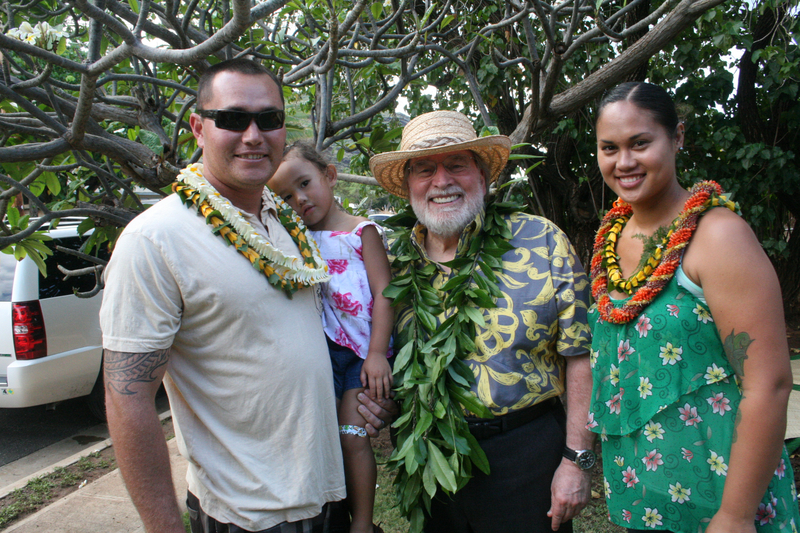 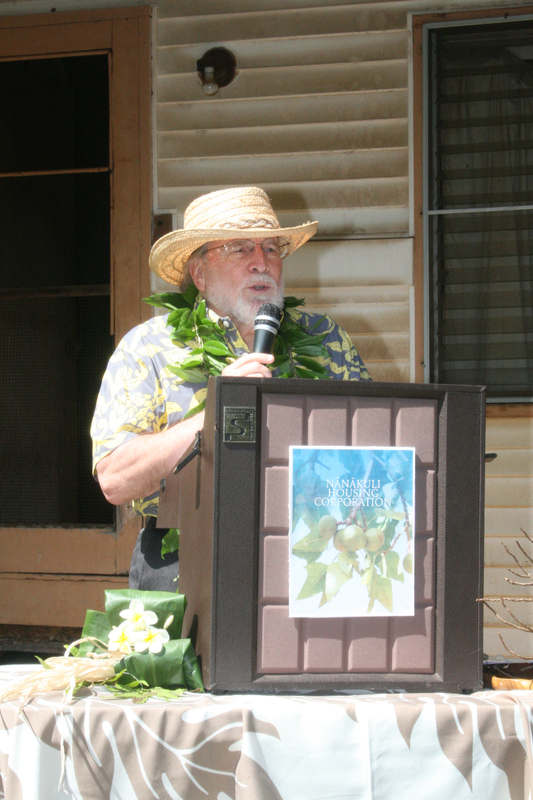 NĀNĀKULI, HI — Governor Neil Abercrombie and Hawaiian Homes Commission Chair Jobie Masagatani joined the Nānākuli Housing Corporation (NHC) today to break ground on the first “Kawelo Cottage” built for Dustin & Sheena Barrett on their Hawaiian homestead in Nānākuli, O’ahu. 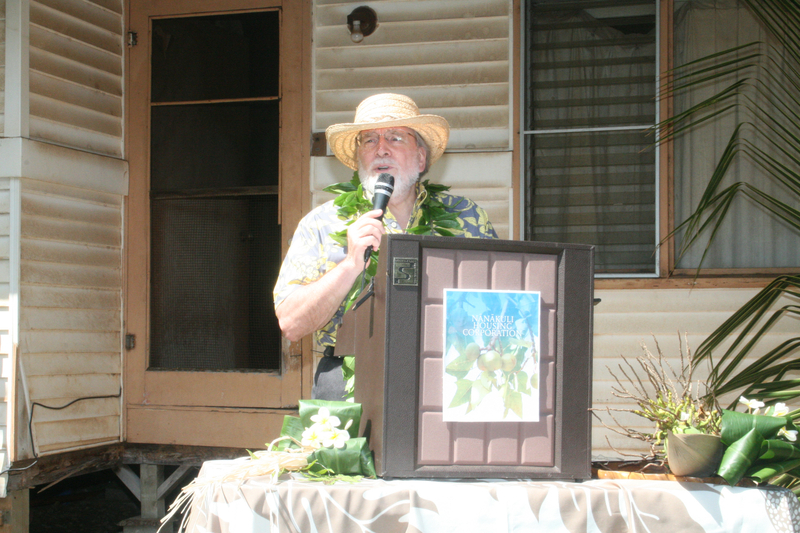 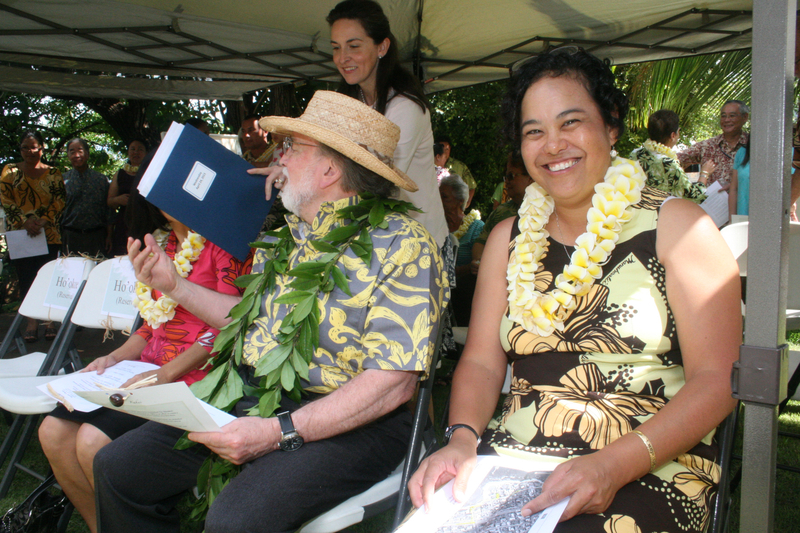 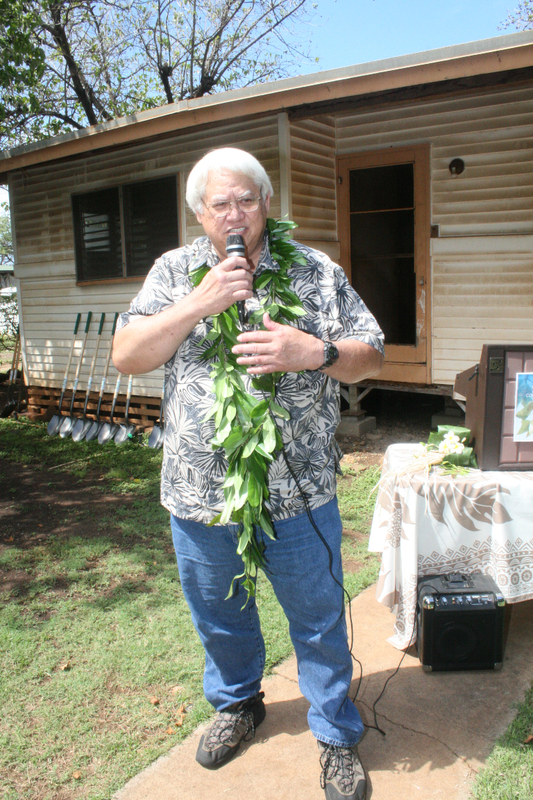 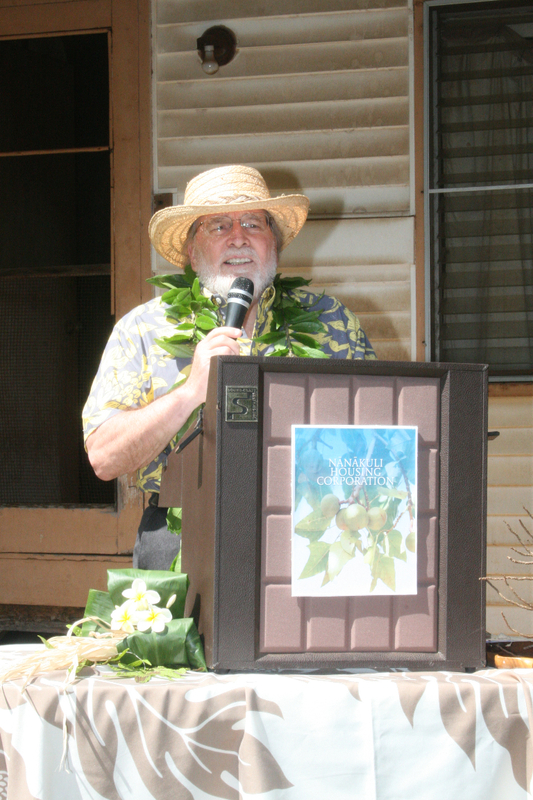 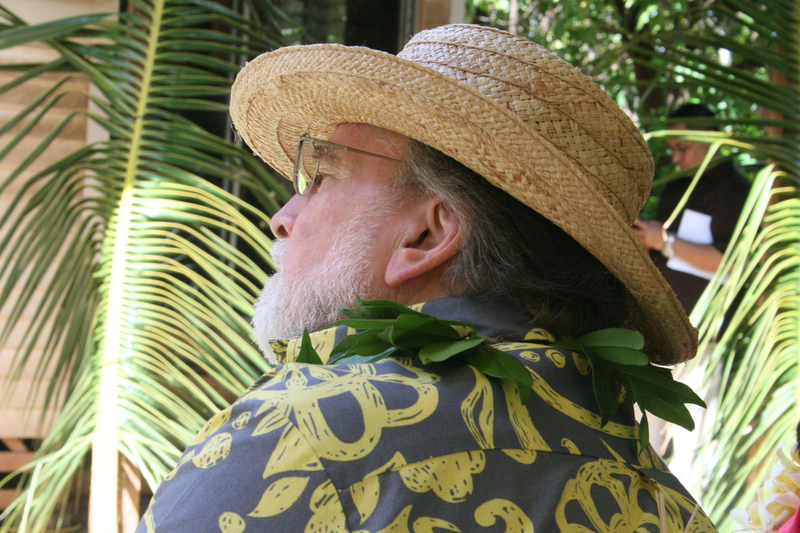 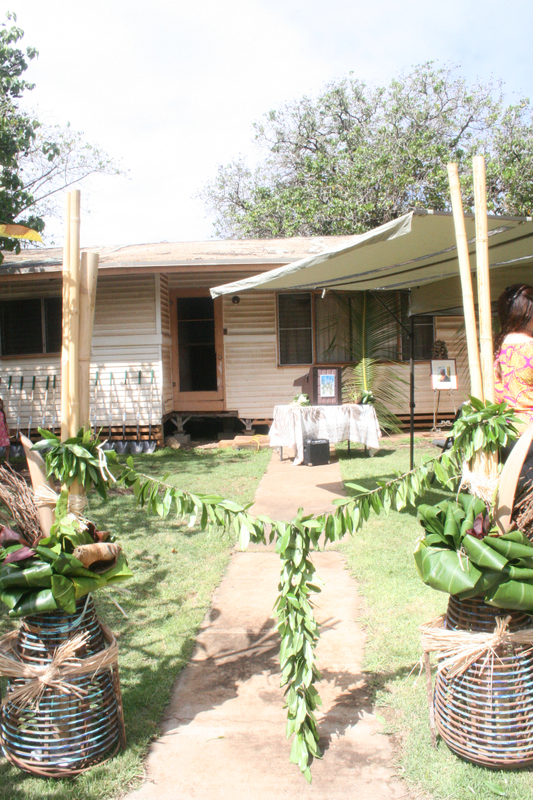 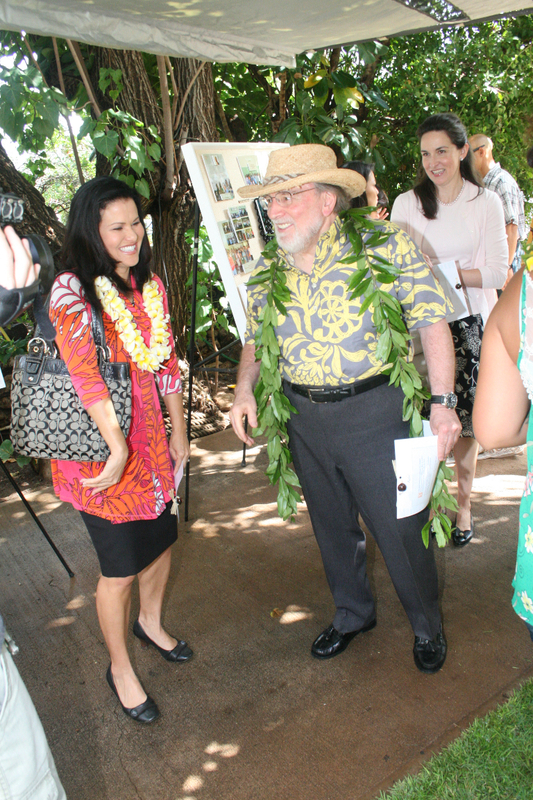 The Kawelo Cottage is the realized dream of NHC’s late founder, Paige Kawelo Barber, whose vision was to create affordable housing for native Hawaiians. 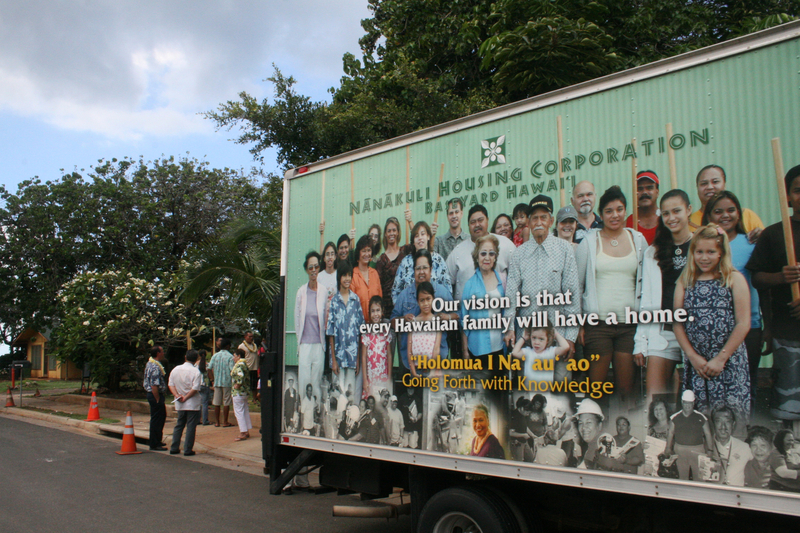 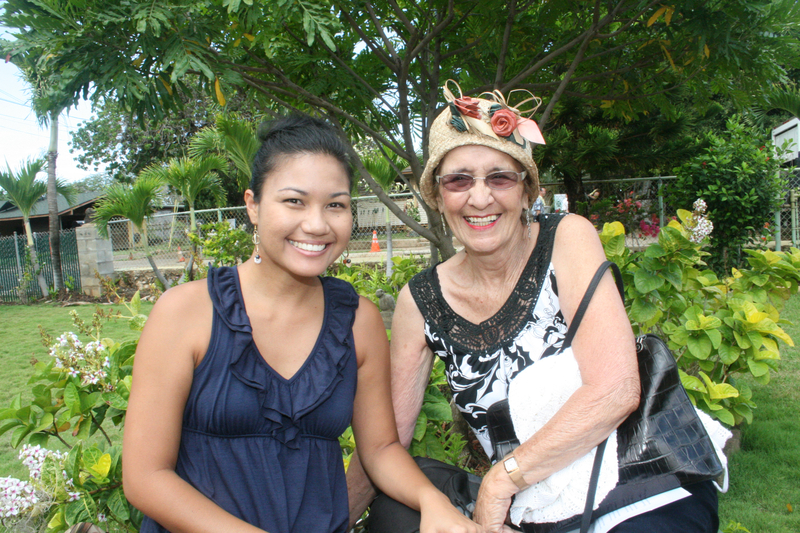 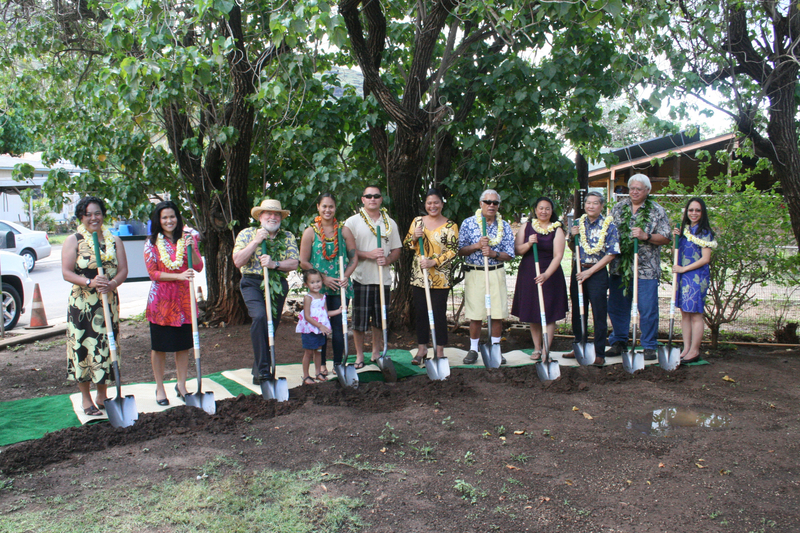 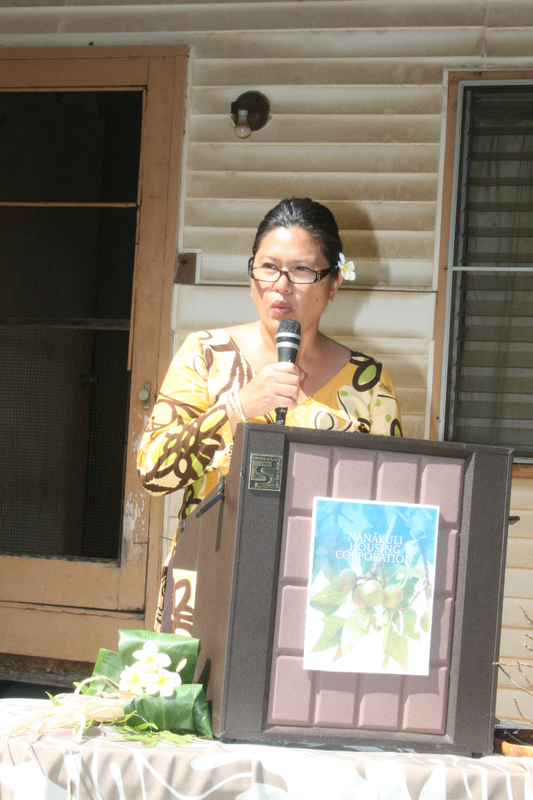 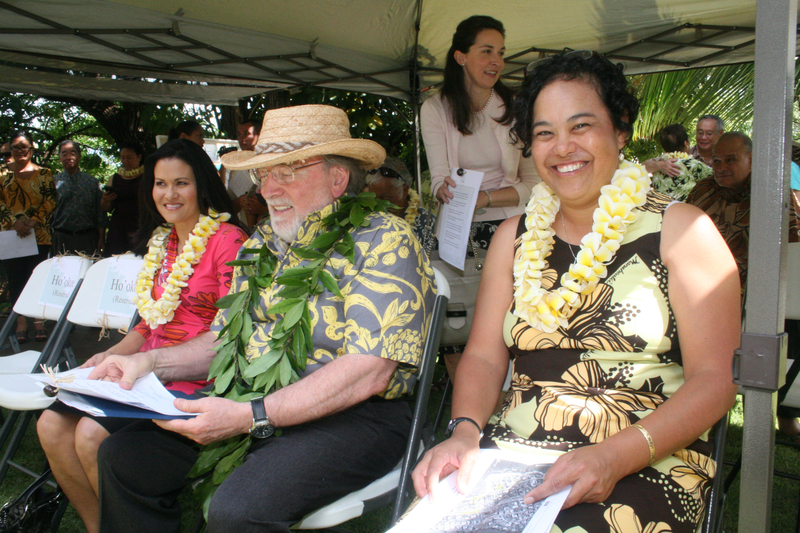 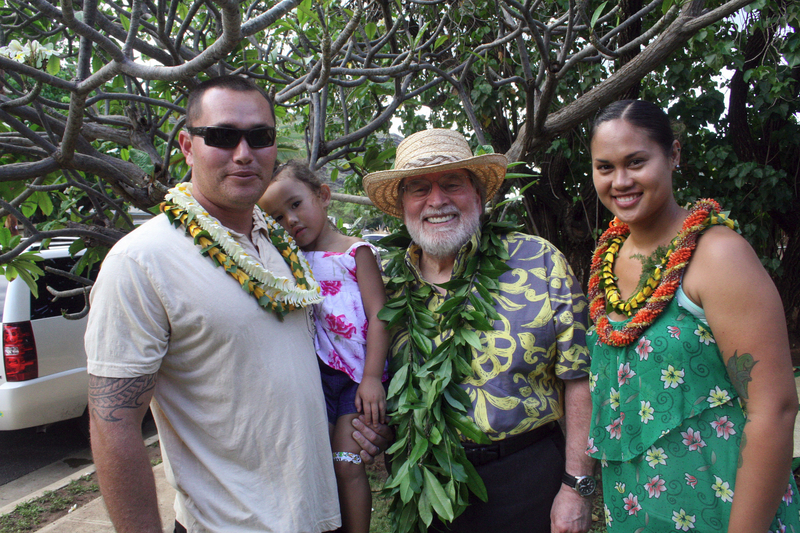 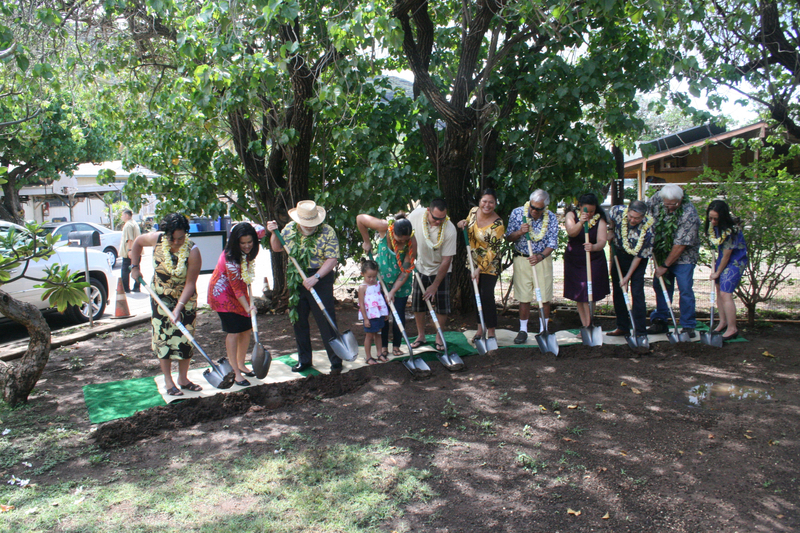 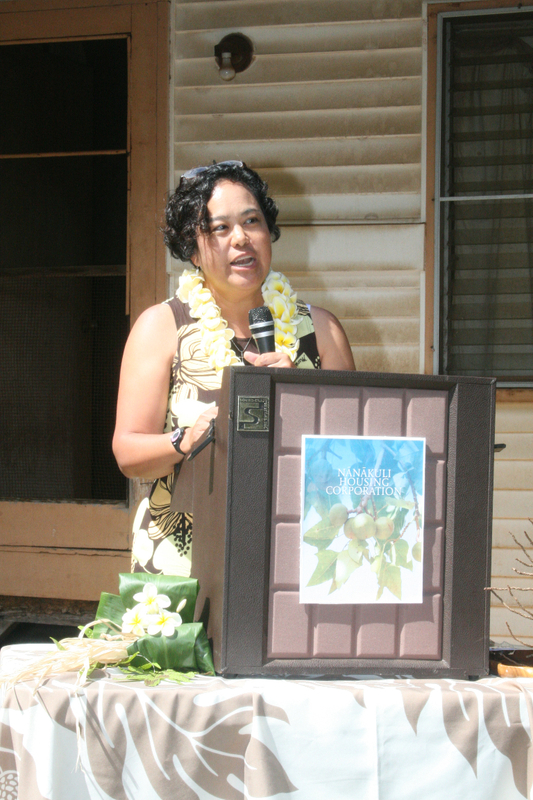 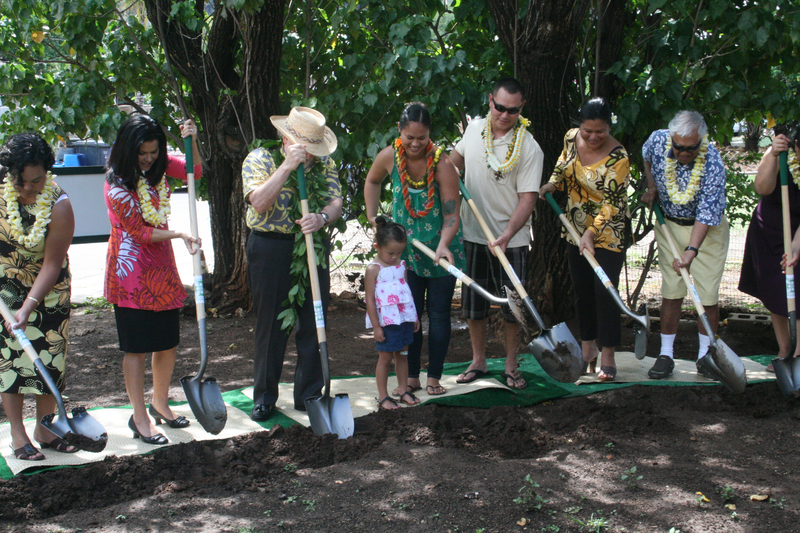 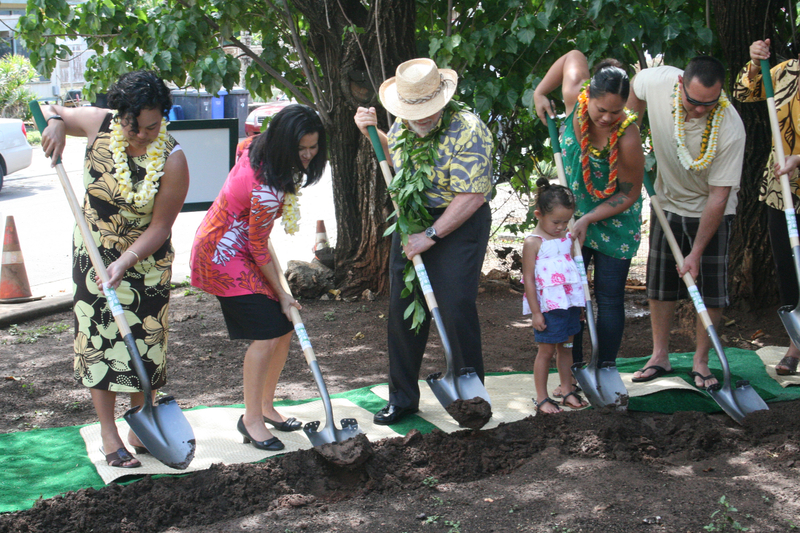 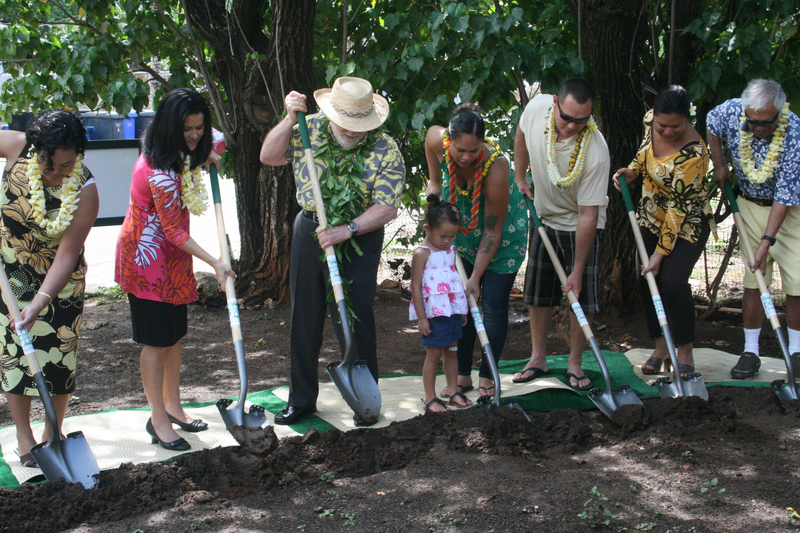 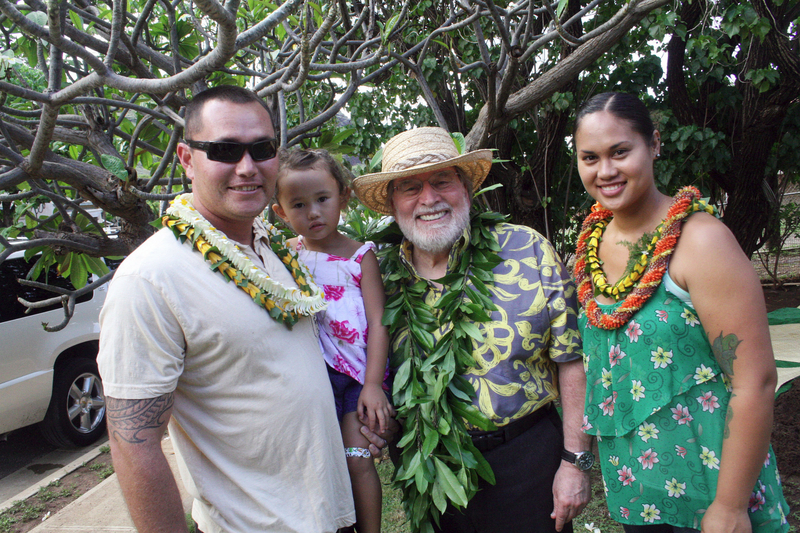 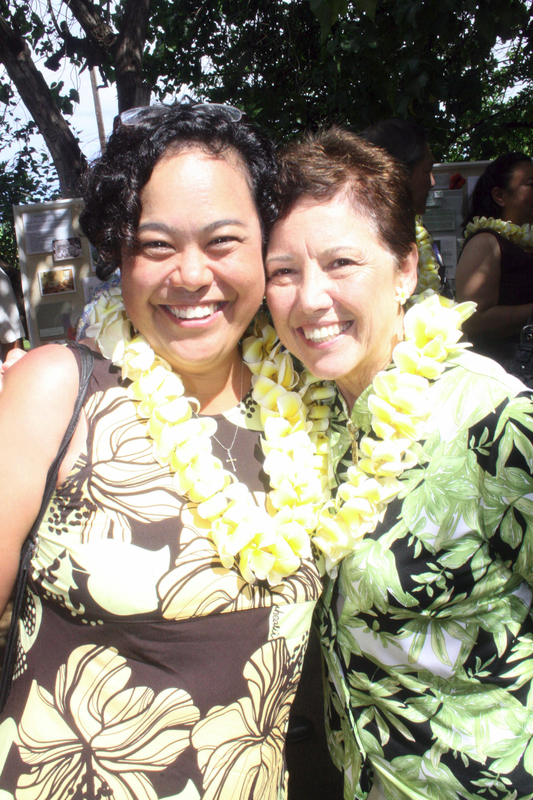 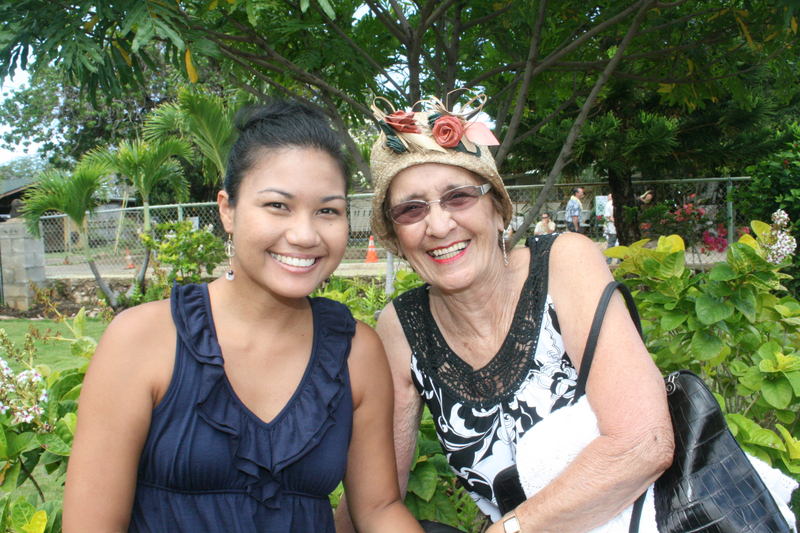 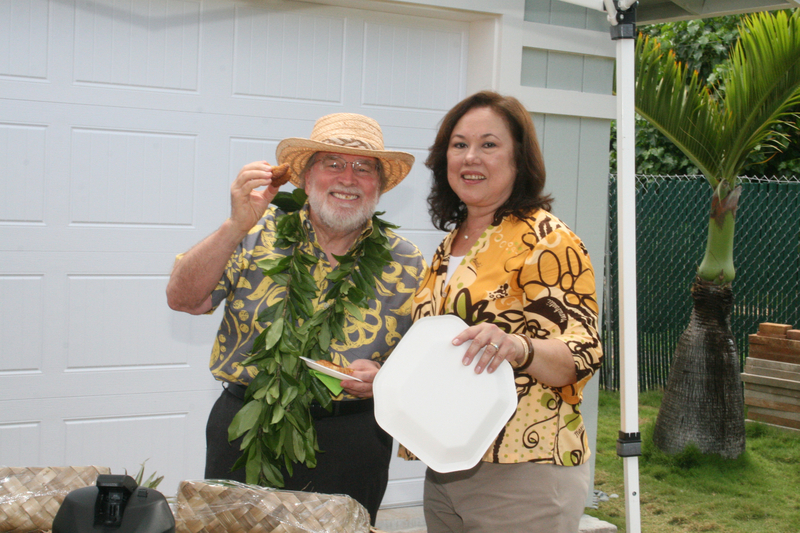 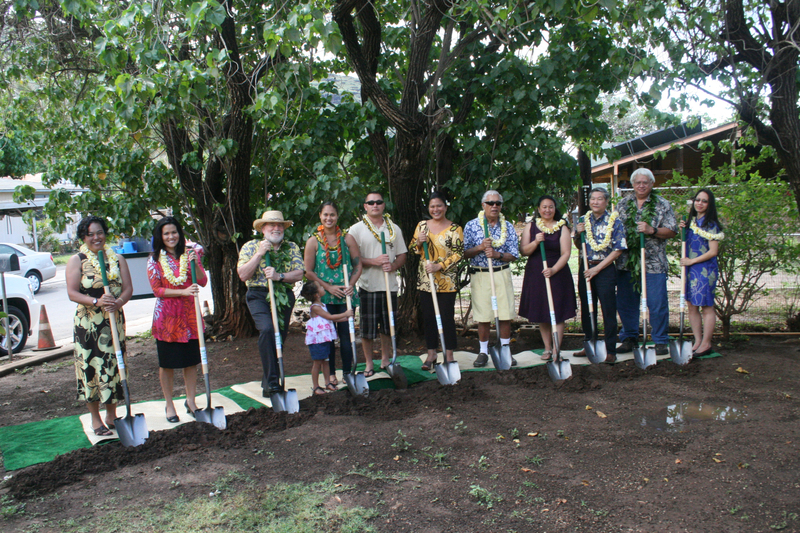 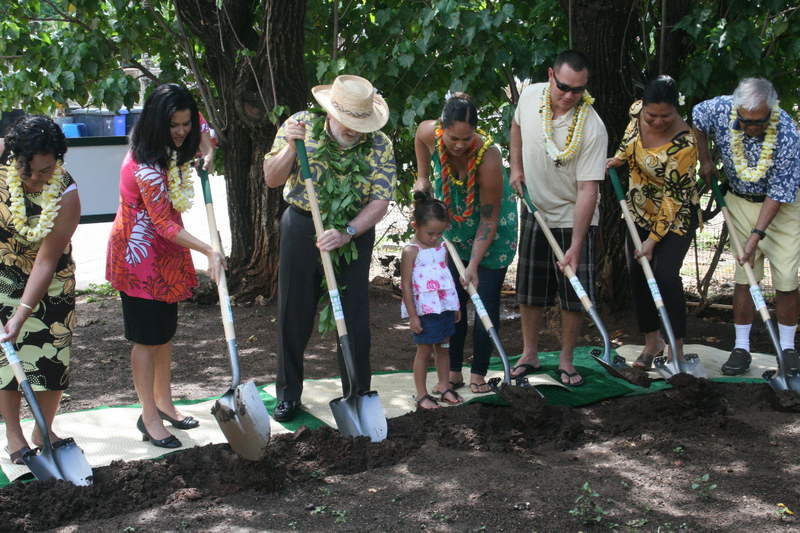 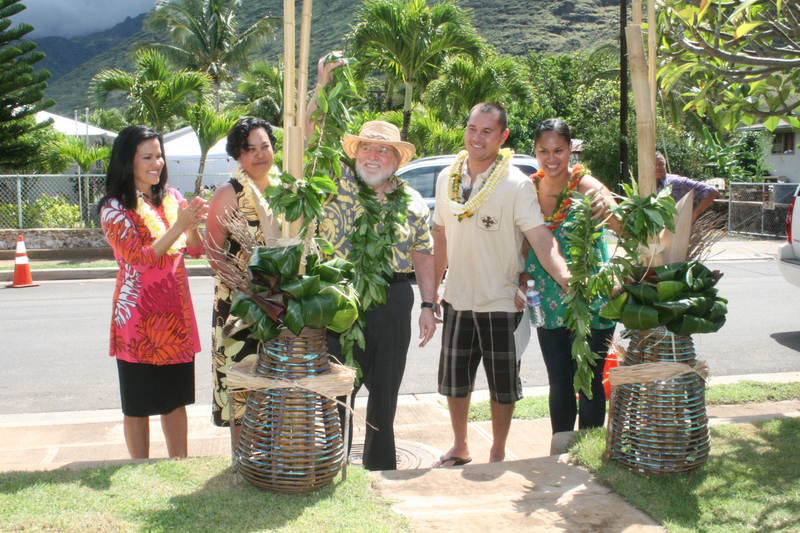 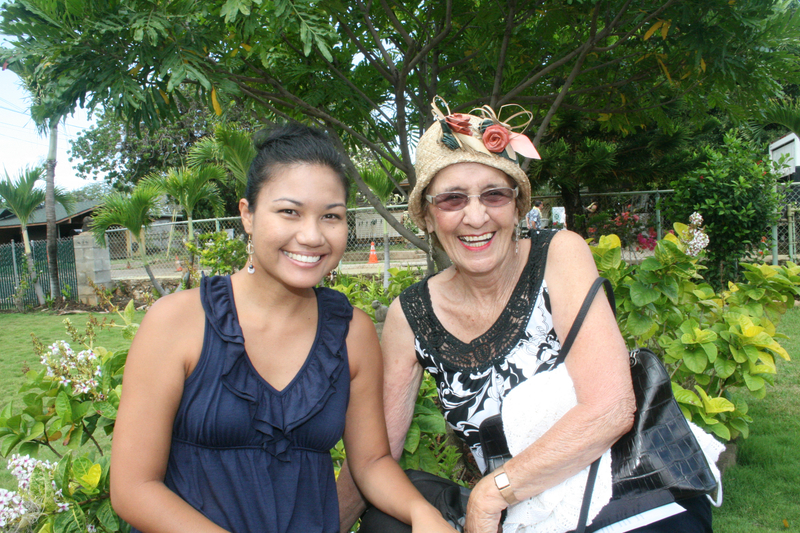 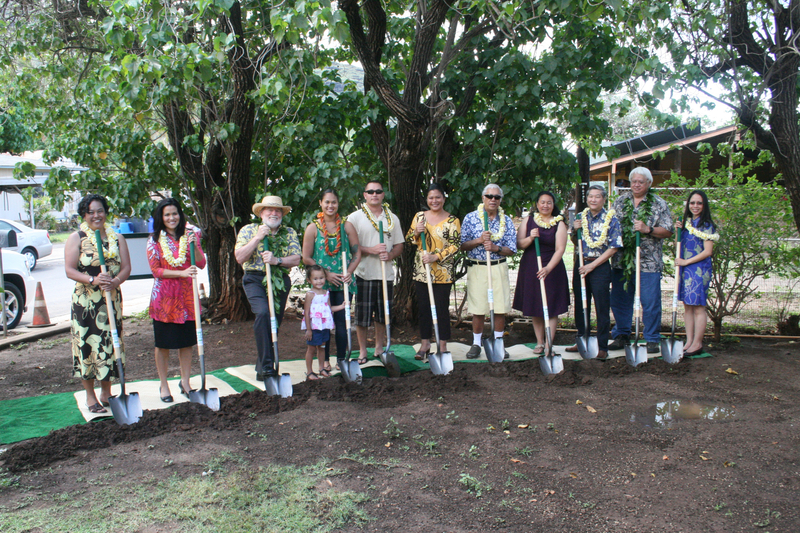 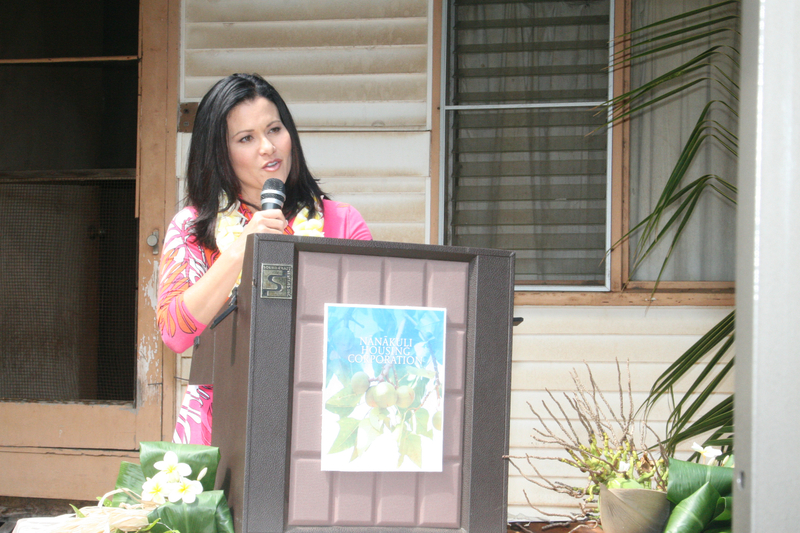 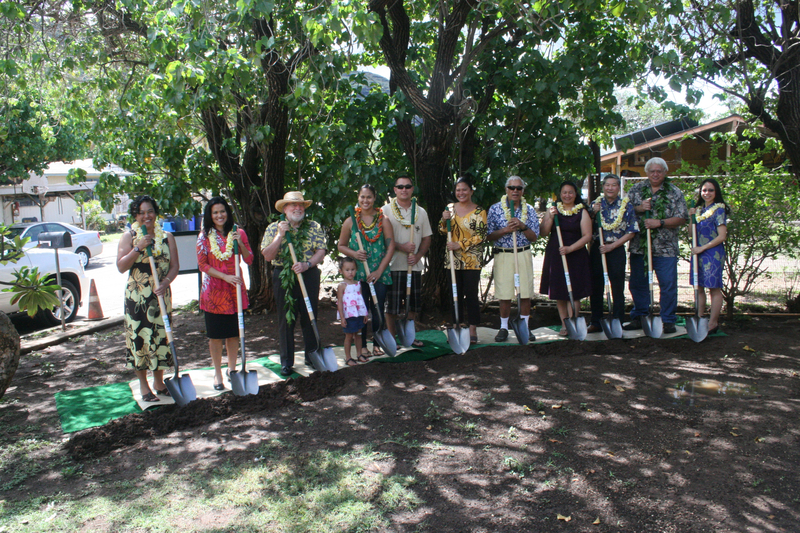 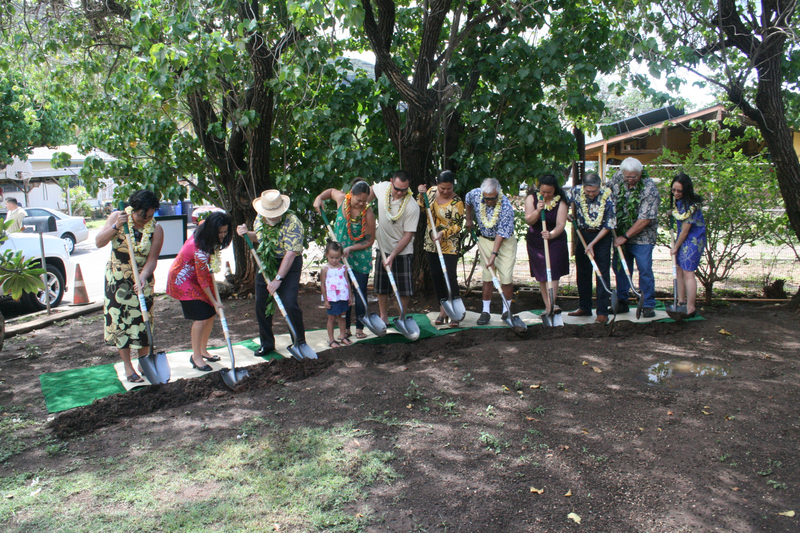 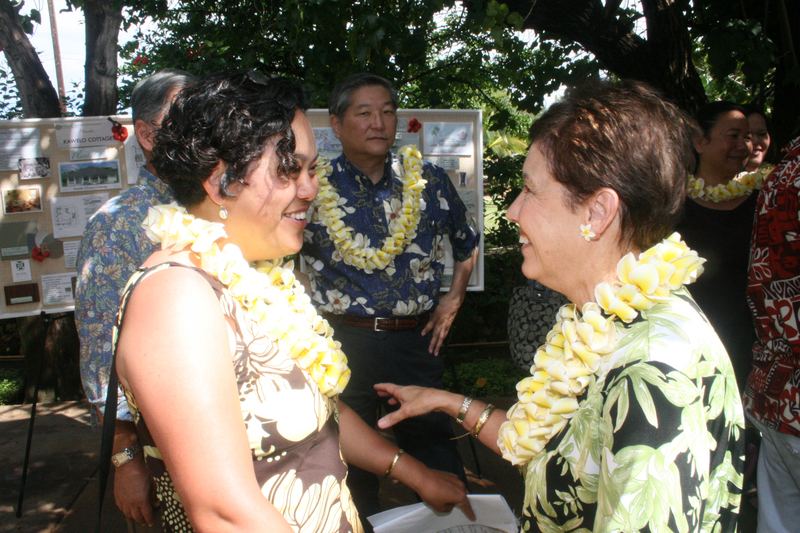 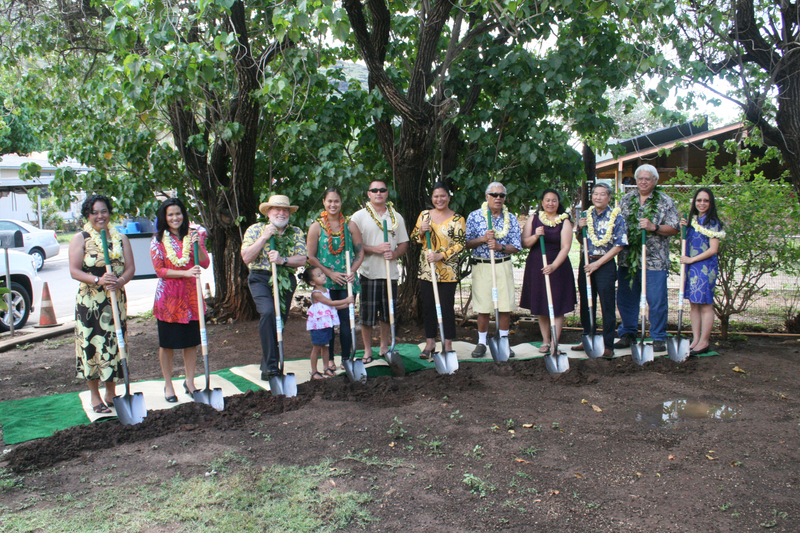 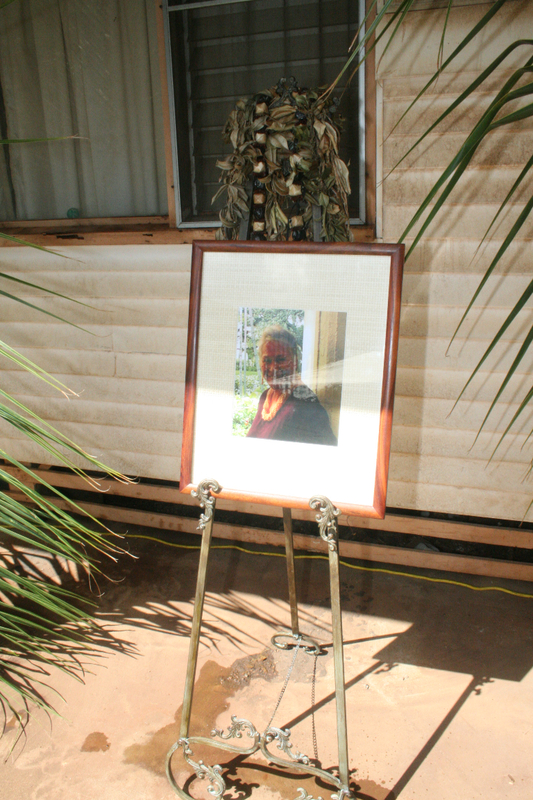 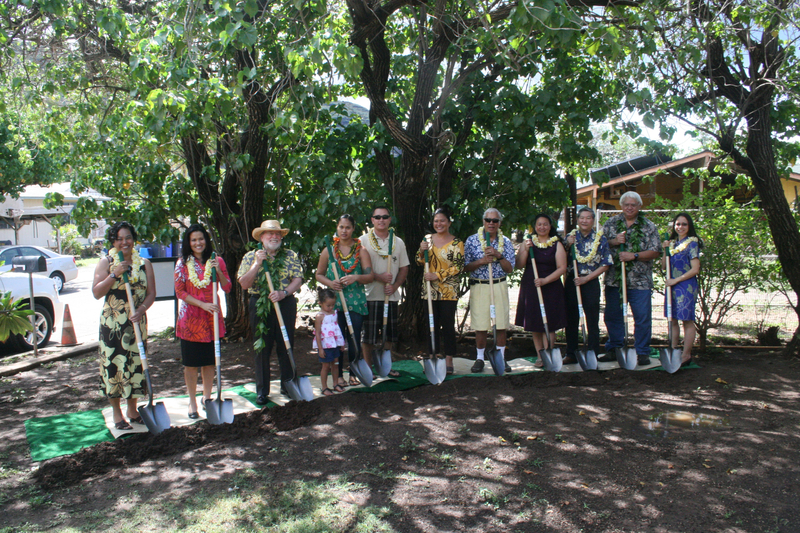 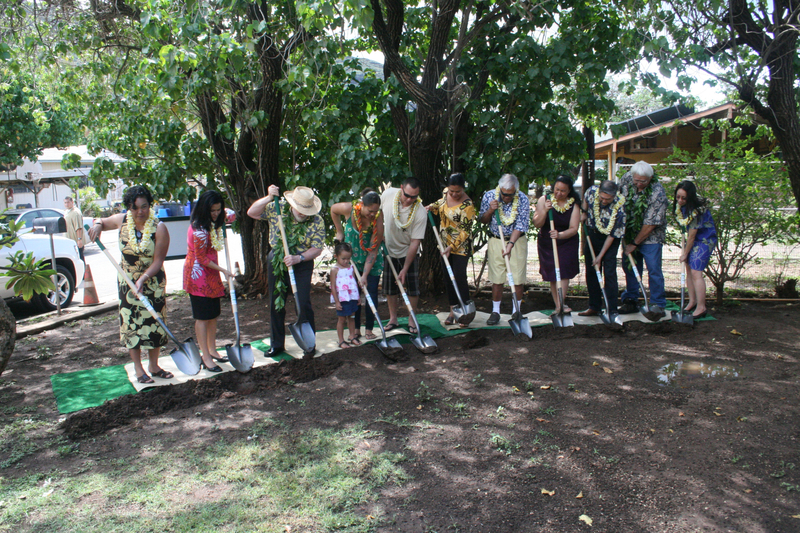 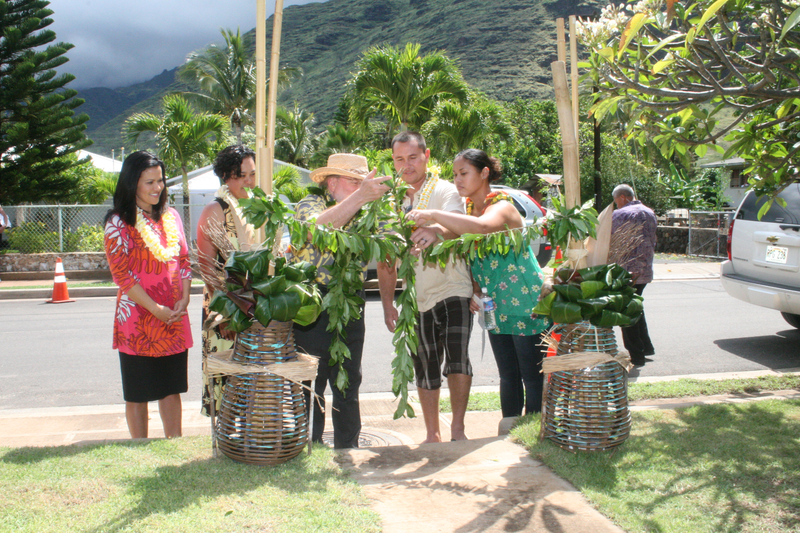 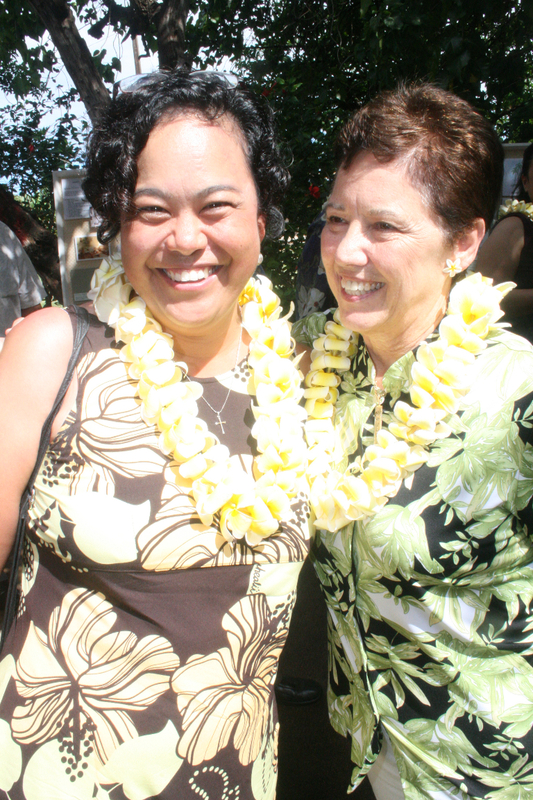 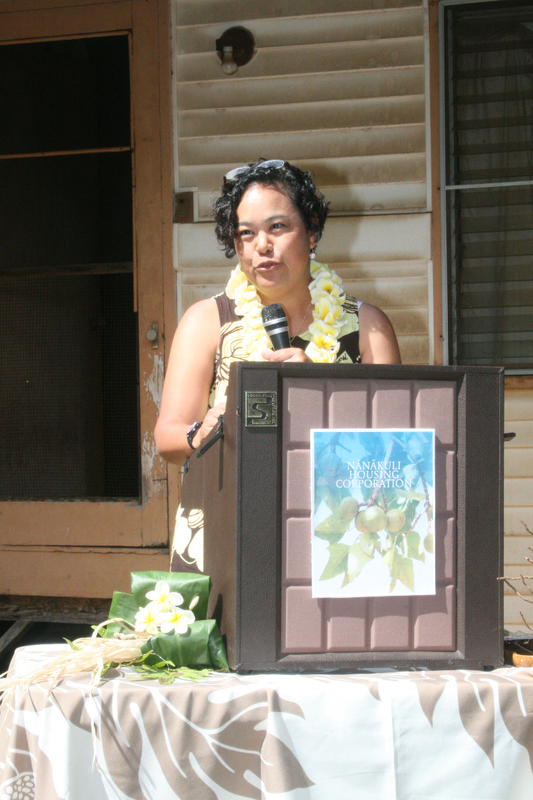 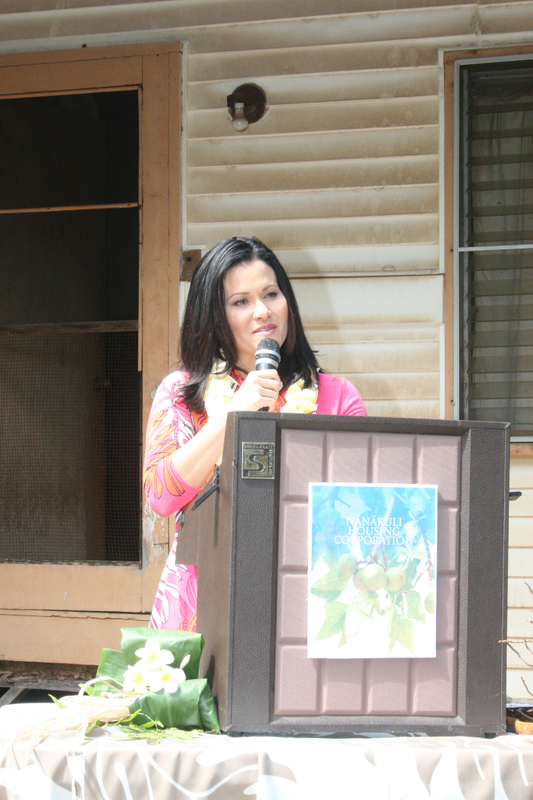 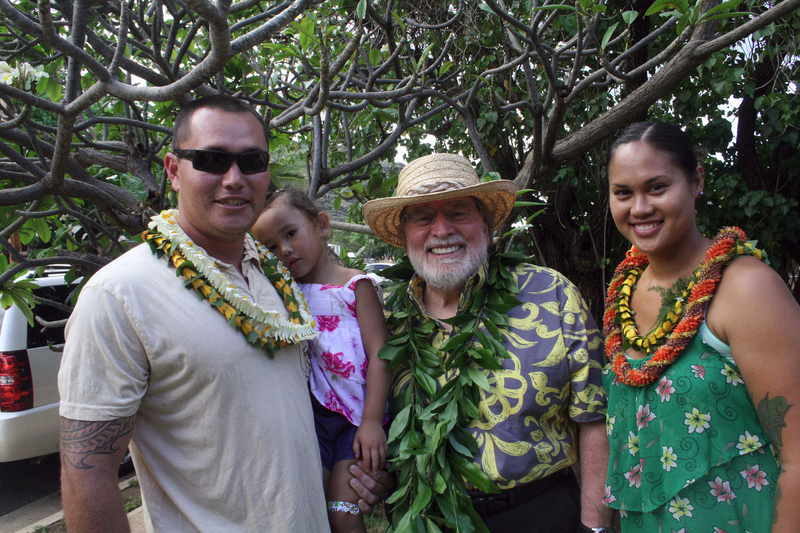 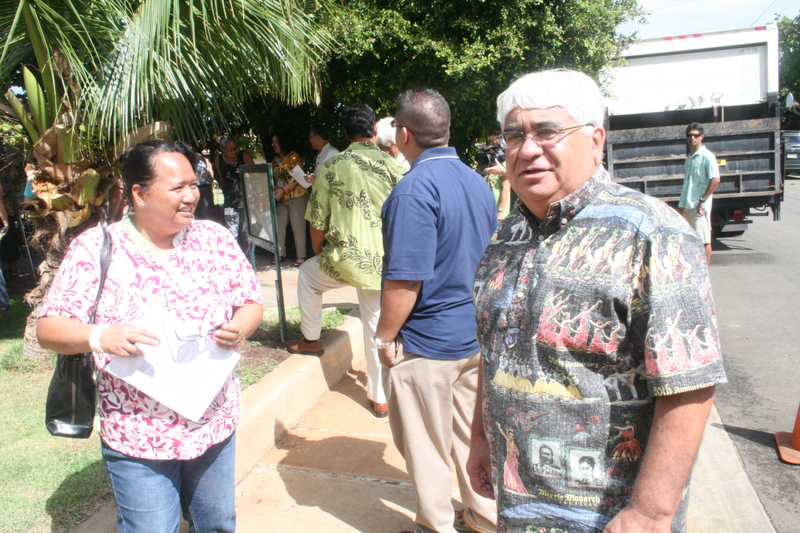 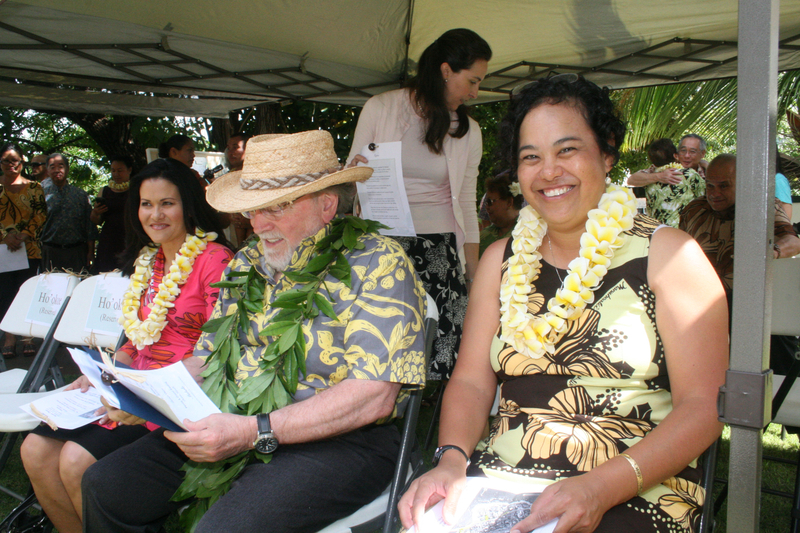 Under her direction NHCs vision was and is that every Native Hawaiian family will have a home. 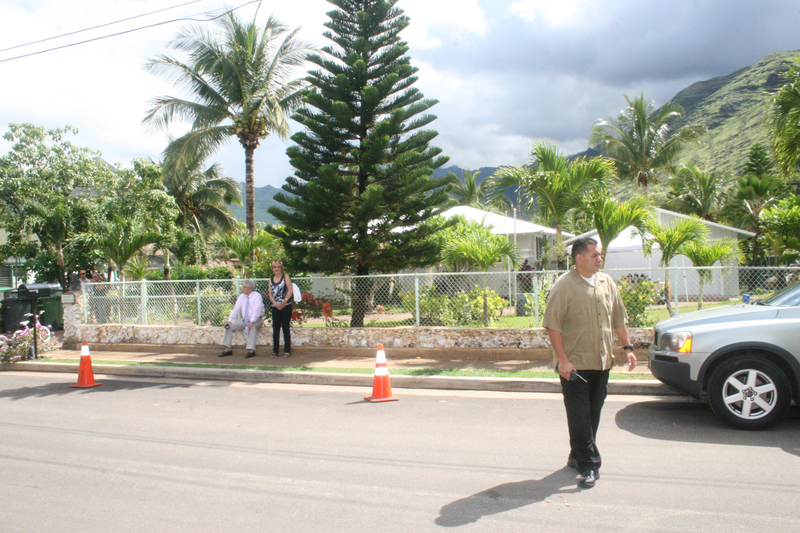 The current Barrett home is nearly 50 years old and is scheduled for demolition. 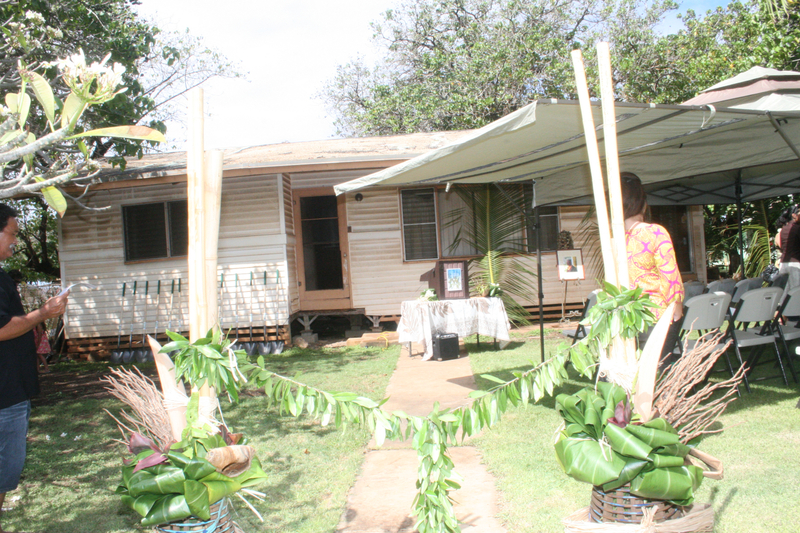 The aging home will be replaced by a 4-bedroom/3-bathroom Kawelo Cottage, which will be built with the help of numerous volunteers engaging in the self-help housing model. 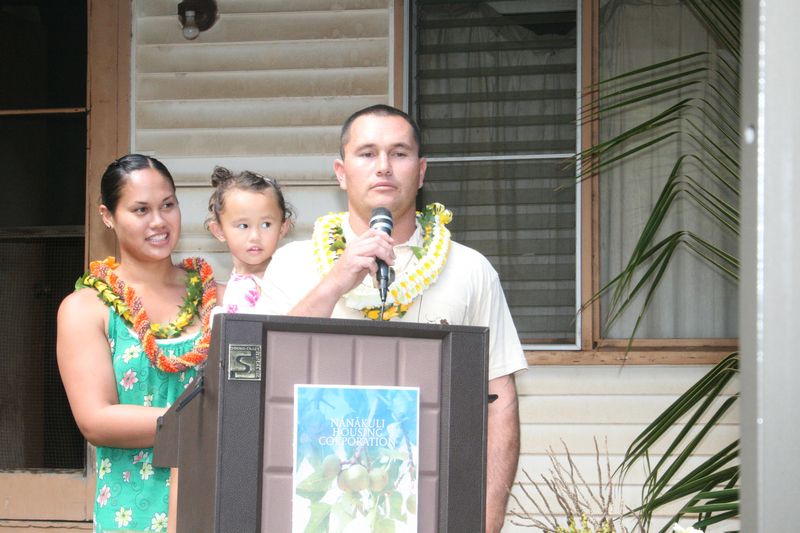 The NHC helped the Barretts secure down-payment assistance from the Native American Housing and Self Determination Act (NAHASDA) and a mortgage from the United States Department of Agriculture (USDA). 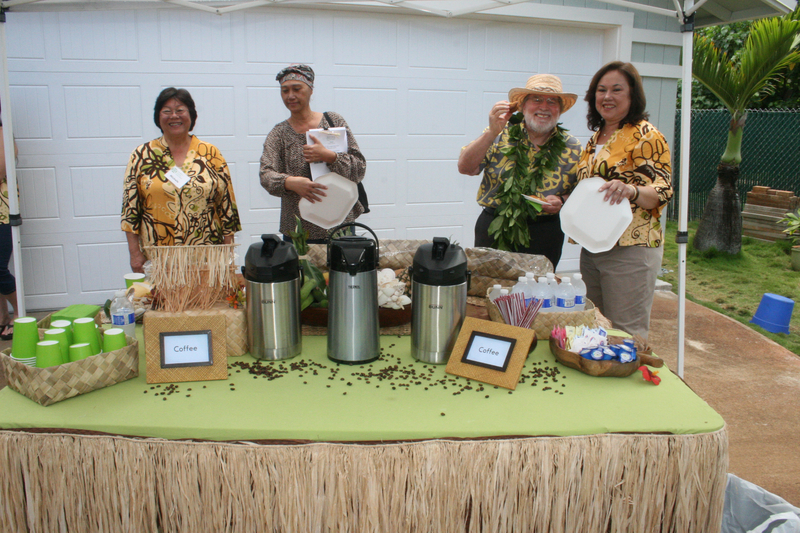 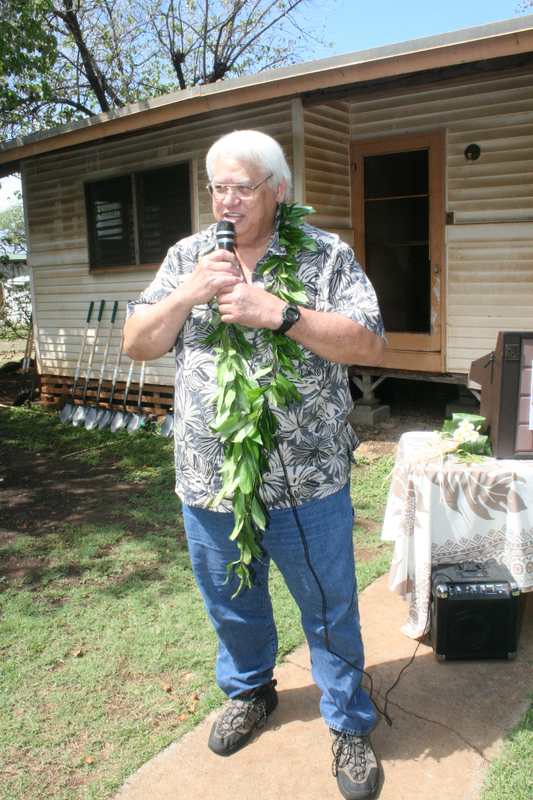 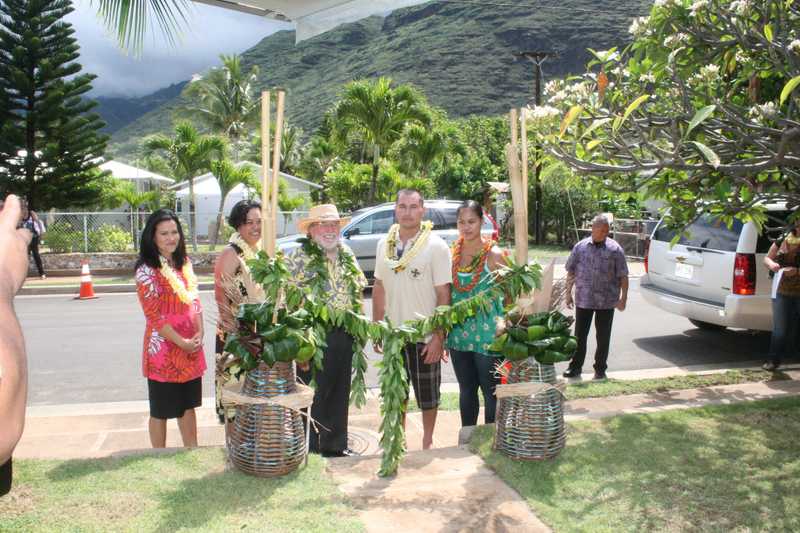 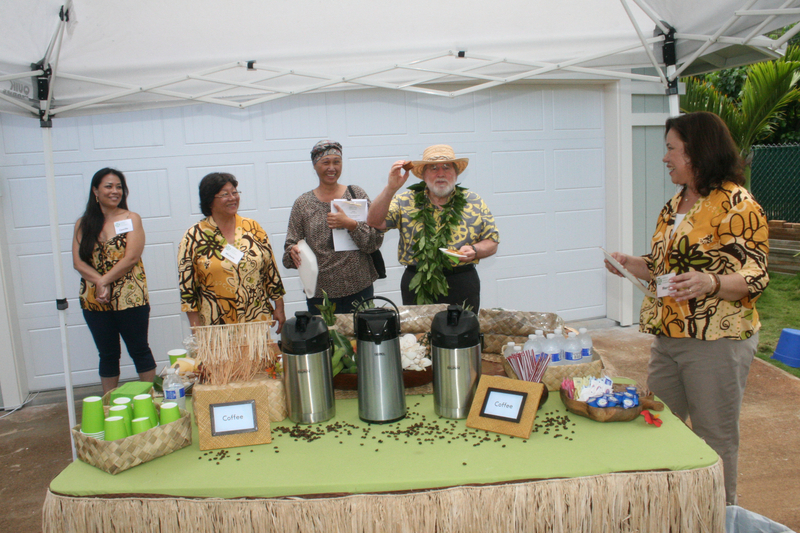 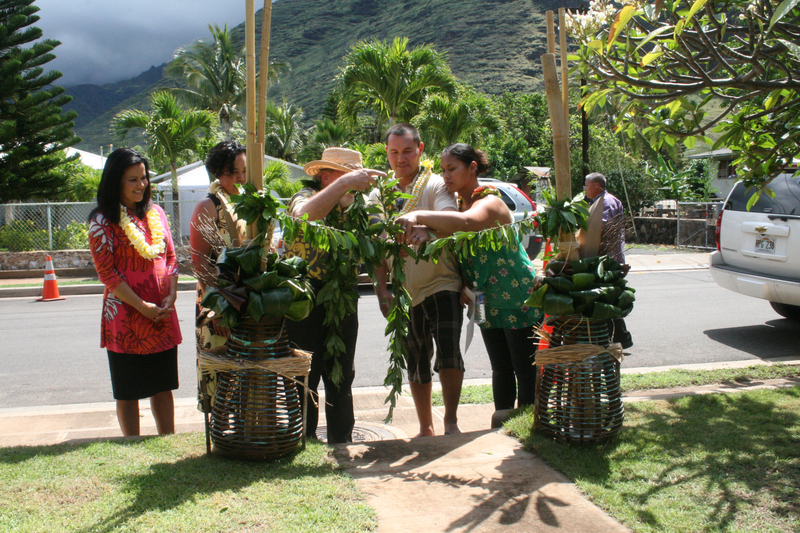 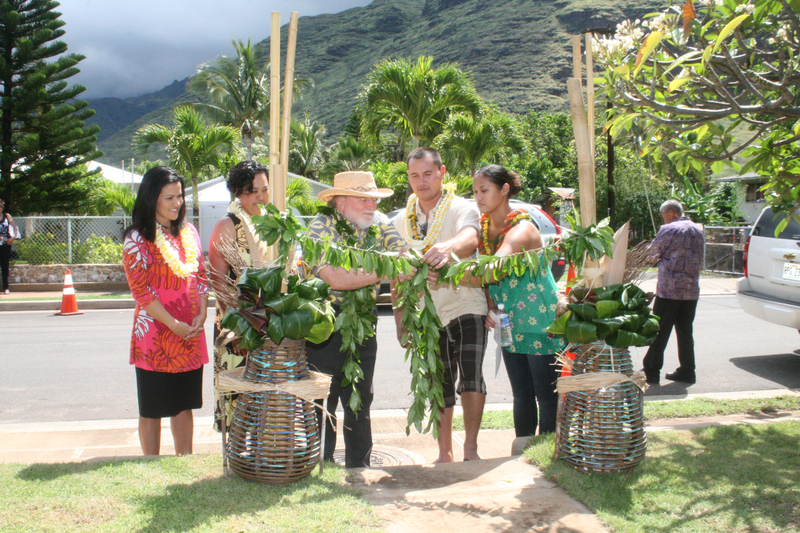 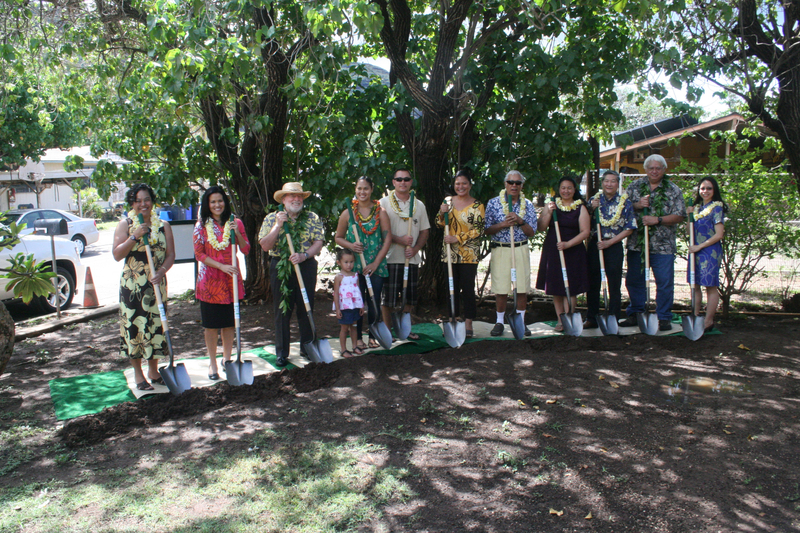 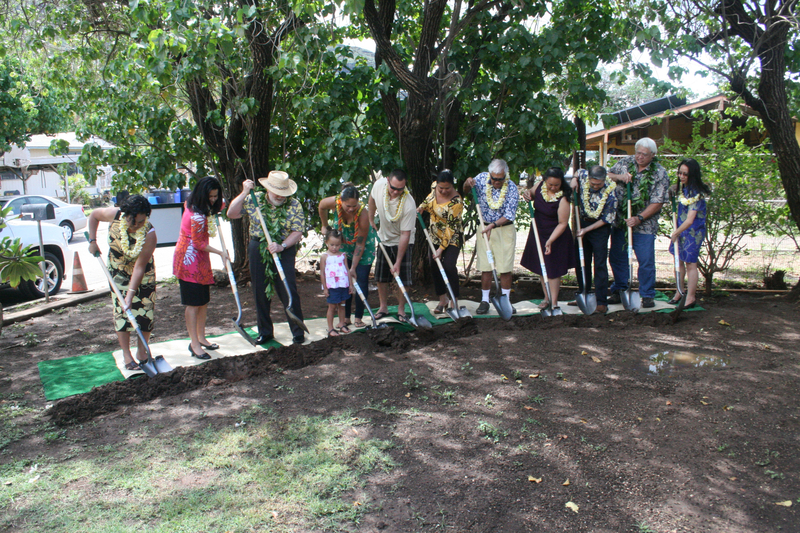 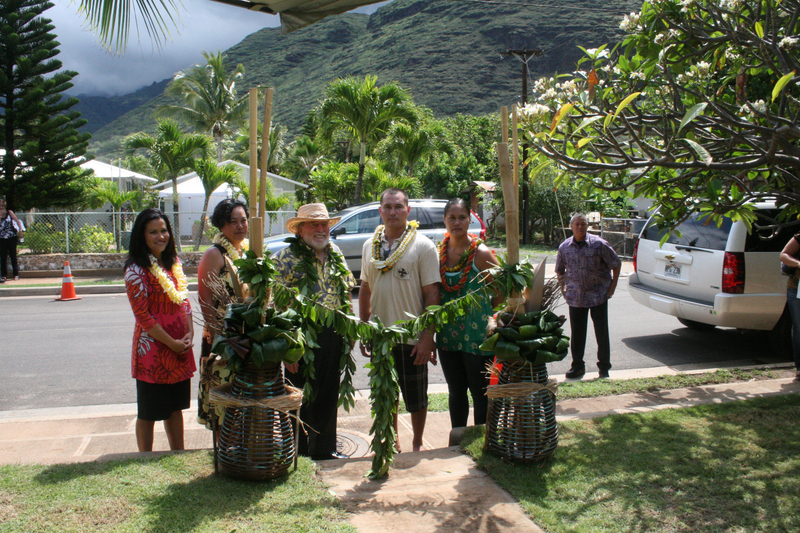 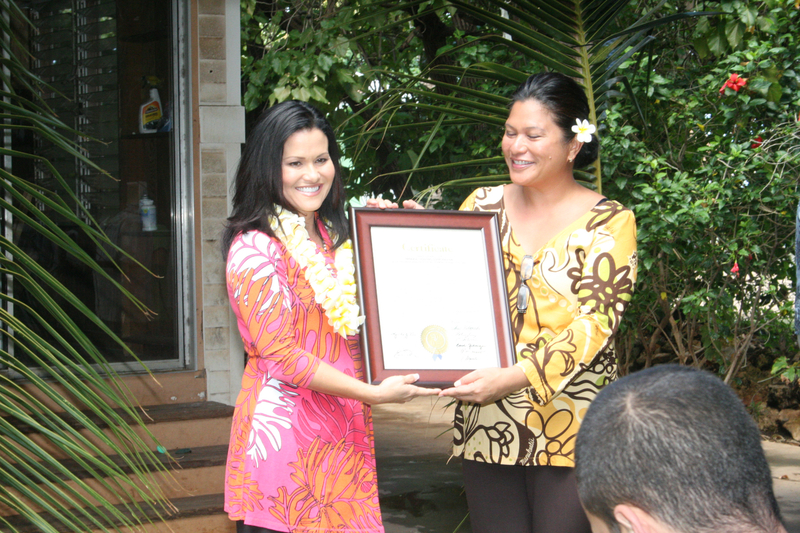 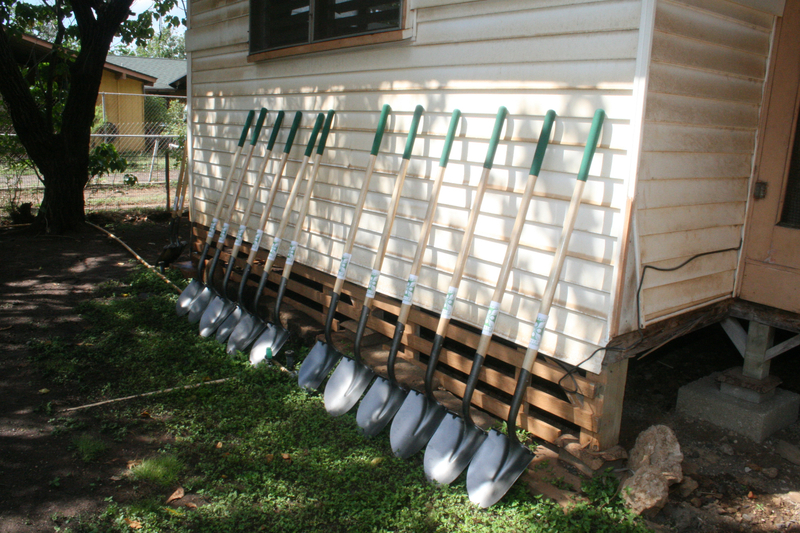 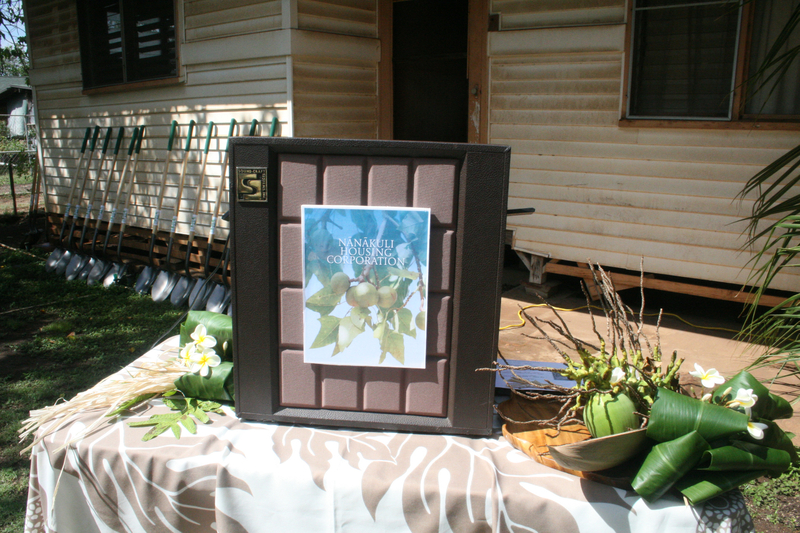 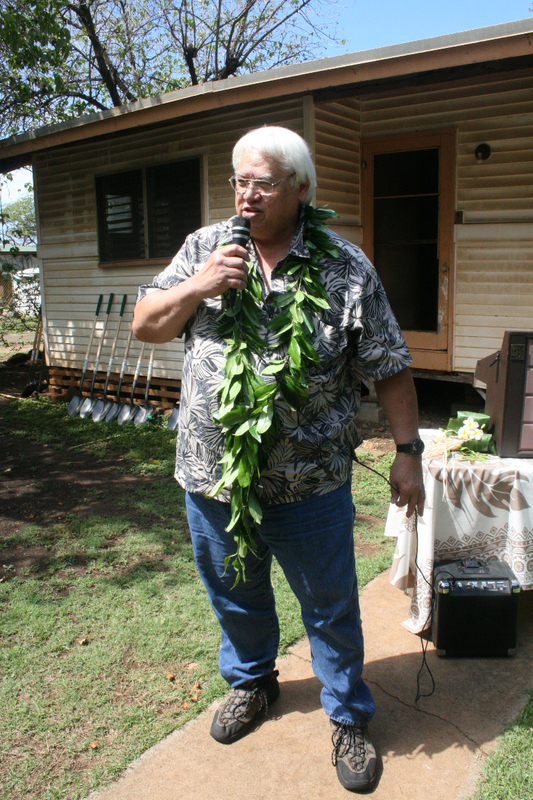 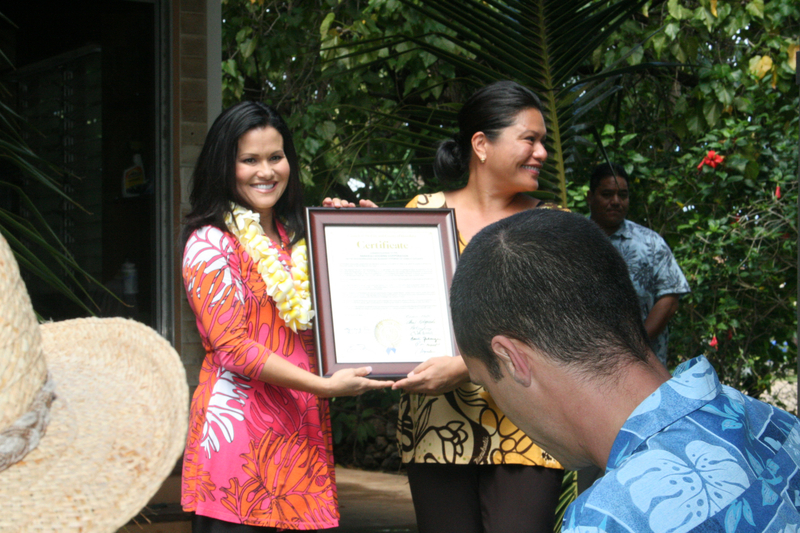 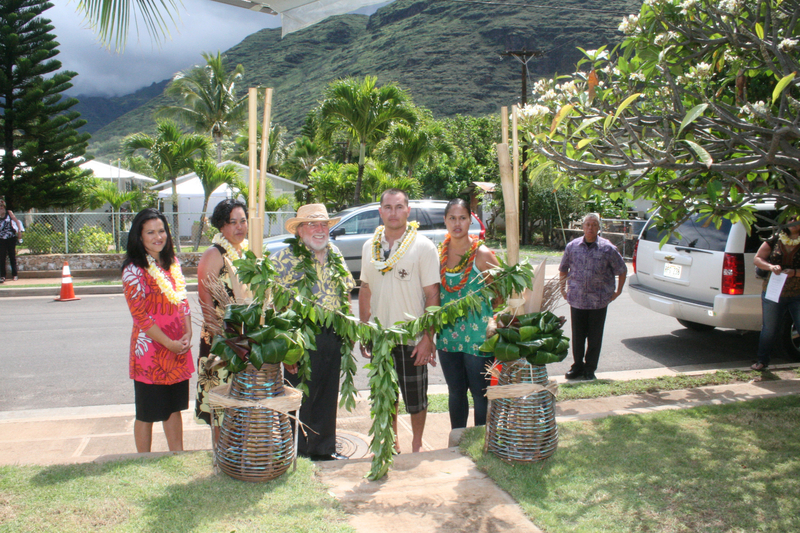 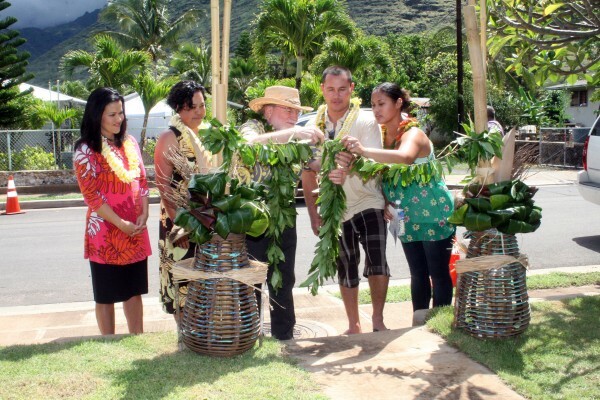 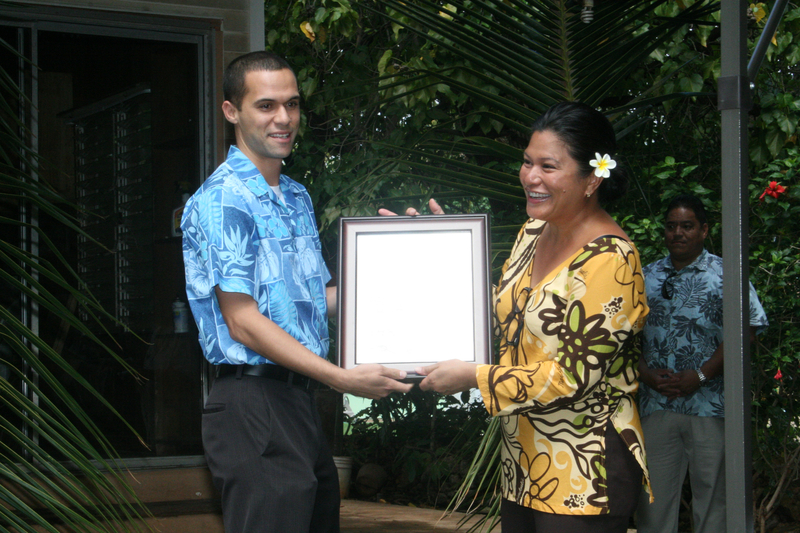 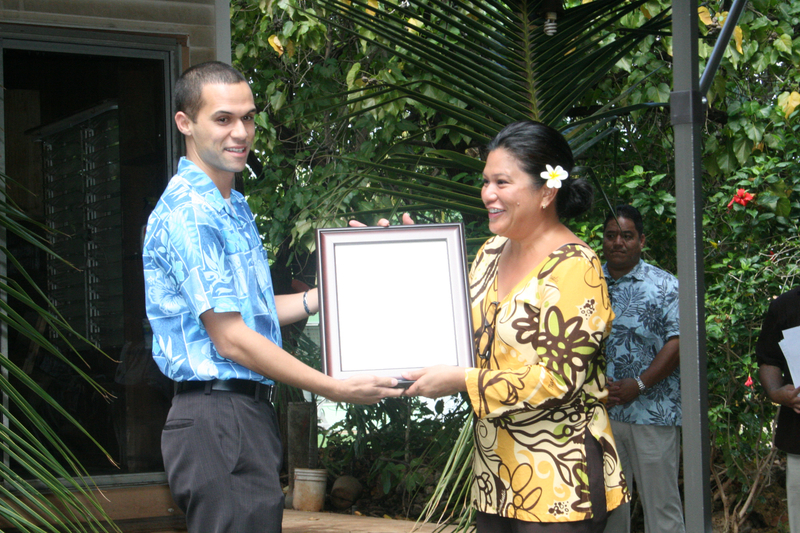 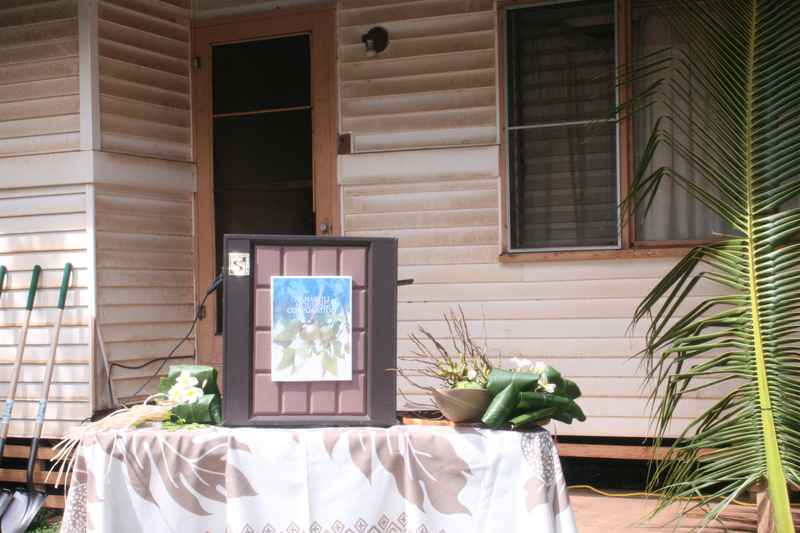 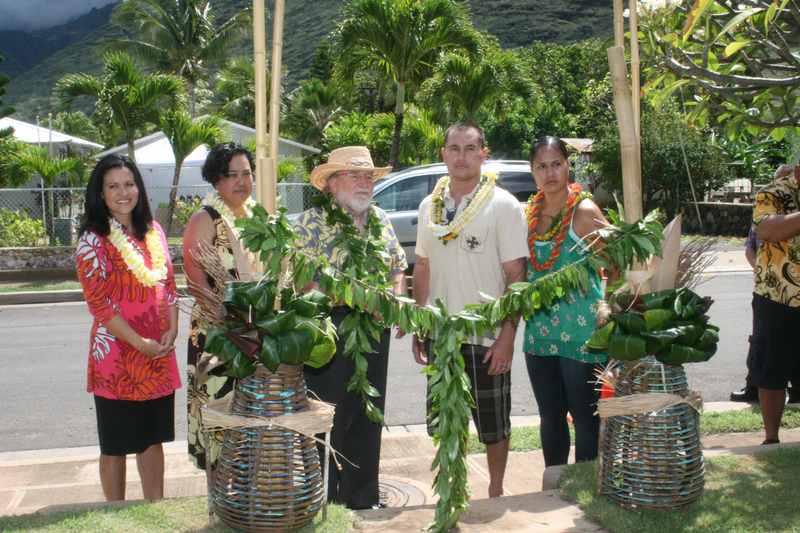 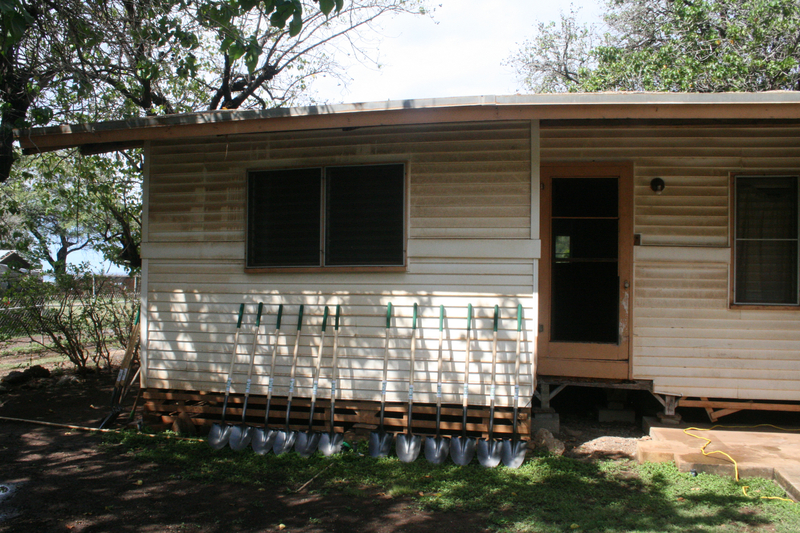 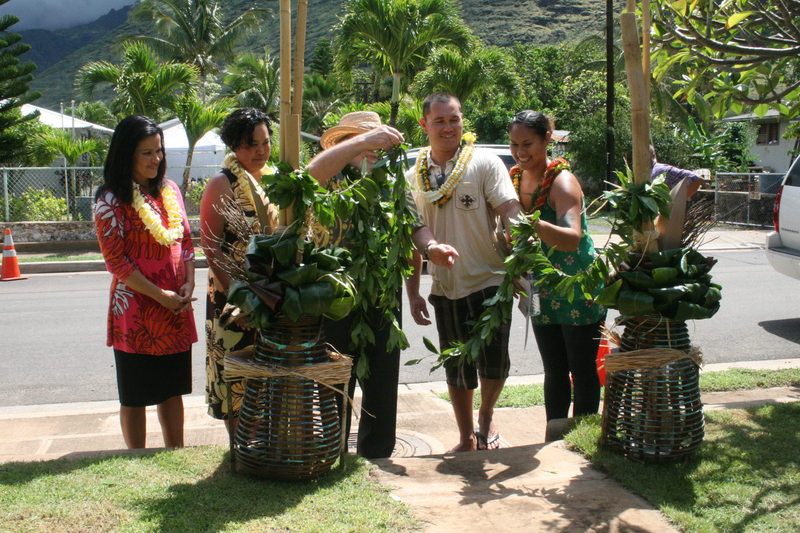 The Kawelo Cottage is the result of a series of community meetings with families from NHC’s Self-Help Home Repair & Financial Literacy classes to source design elements for an affordable home for and by Native Hawaiians. 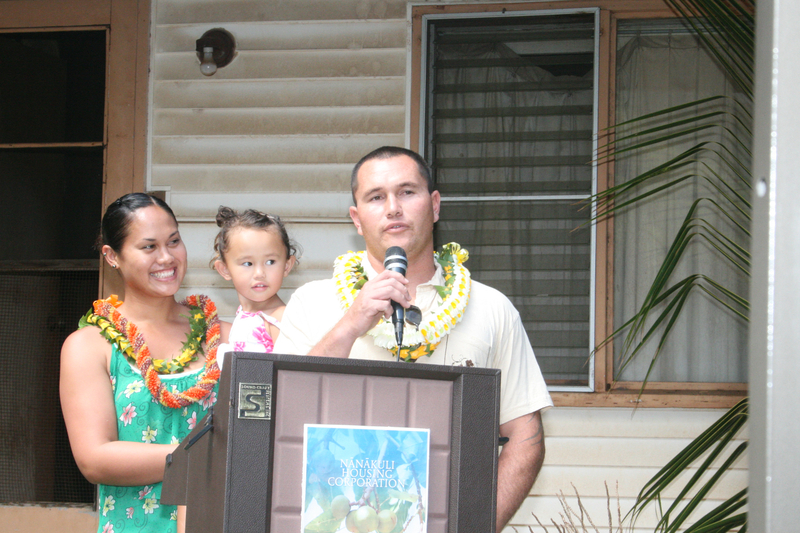 These families wanted their homes to be as Green as possible with open living concepts and a bathroom in the garage. 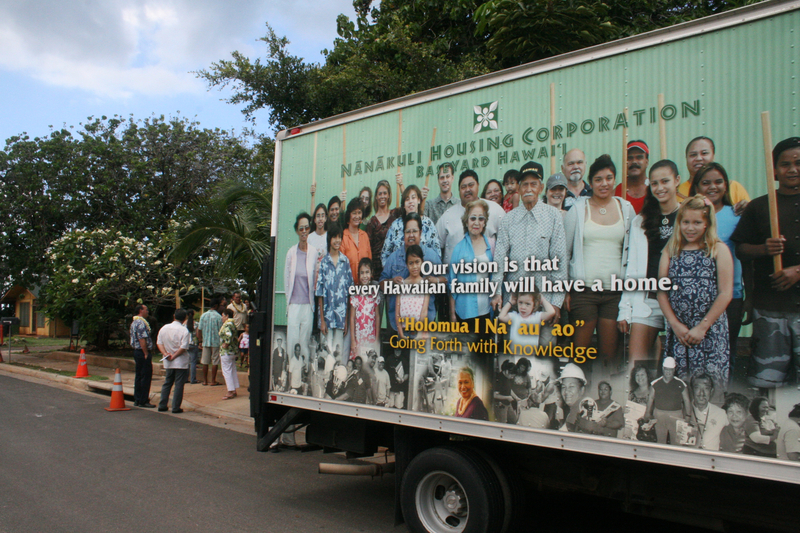 NHC secured funding from the Administration for Native Americans (ANA) to create this design. 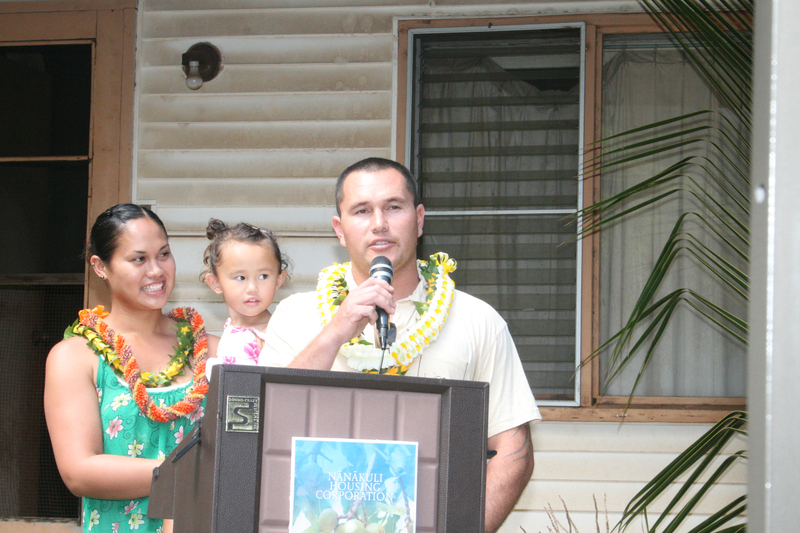 The Kawelo Cottage was designed by Architect Karen Wang and this first cottage will be built by Jeff Cantrell of Kai Builders. 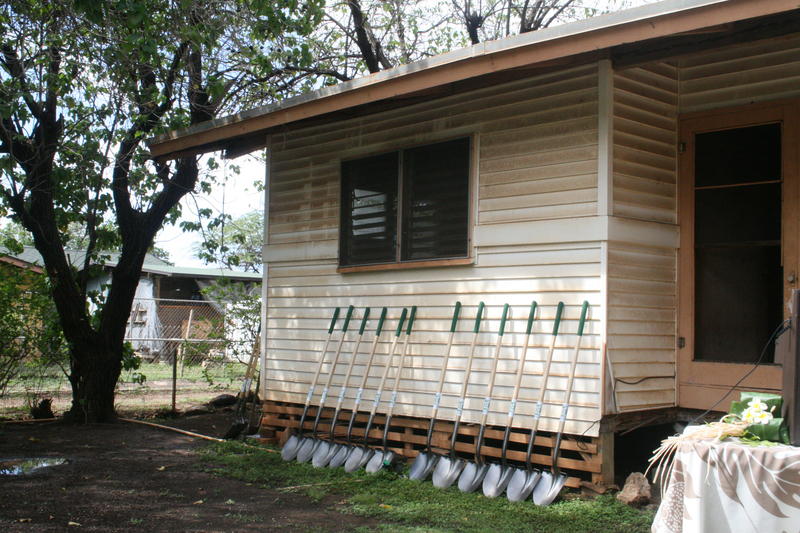 The construction plans include the demolition of the existing home, grading of the lot, and a “turn key” home with plumbing, electrical, appliances and cabinetry in the kitchen and baths. 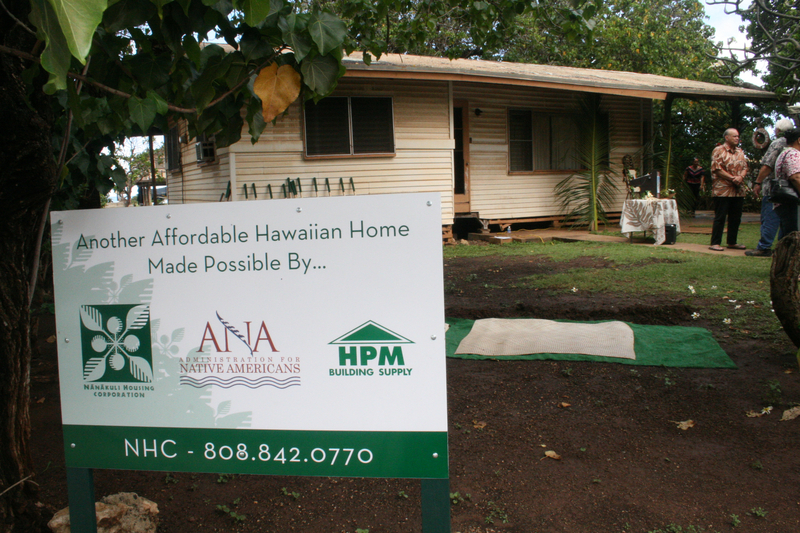 • More Affordable Homes– through a grant from the Administration for Native Americans, NHC has one stop affordable home kits.